Today, Pat Pujolas is reading an excerpt from his novel Jimmy Lagowski Saves the World. The book was published by Independent Talent Group in March. Nominated for a XXXVI Pushcart Prize, Pujolas has also been published in Outsider Writers, Connotation Press, Jumping Blue Gods, and ManArchy magazine. He's credited with two episodes of MTV's animated series "3-South." 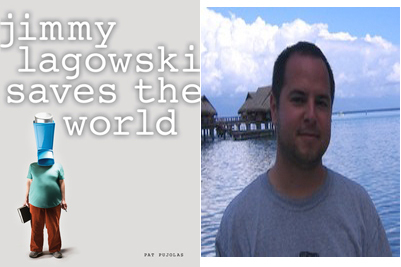 Click here to experience an excerpt of Jimmy Lagowski Saves the World read by author Pat Pujolas. “Two days before he was scheduled for jury duty and/or to commit suicide, Jimmy Lagowski received a postcard in the mail...” and so begins the title story in this masterful collection of interwoven narratives. Here: a badly-burned, depressed, and possibly alien 20-year-old is the lone vote of dissension in a controversial murder trial; a promising college sophomore ponders the implications of taking the morning-after pill; a retired maintenance man confronts his violent past in the checkout line of a discount supermarket; and a brilliant geologist struggles to recount the accidental death of an innocent child. Separately, these stories tell the tales of broken lives in 2012 Midwest America. 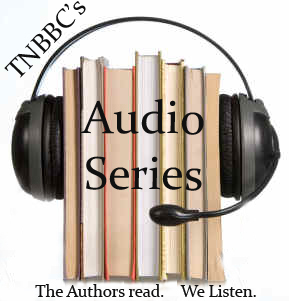 Together, they tell a fearless and cohesive story of human tragedy, revenge, and forgiveness.